Why GRASSify’s Artificial Grass in London? GRASSify Artificial Grass in London and surrounding areas along with our more recent office in Marbella offer you the finest brand of artificial grass. We offer both supply only or full professional installations covering all applications from gardens, terraces, patios and balconies to schools, play areas, sports facilities and public sector works. You are in good hands with the GRASSify team. We stock all of the items required for fast delivery or collection. When installing our teams use proven and tested methods to leave you with a professional artificial grass installation that is designed, built and installed to give you up to 10-15 years of hassle free outdoor fun. Our friendly team are always here to help so get in touch today. DIY - No install neededReplacing natural grassInstall to patio / pavingOn to deckingBalcony or roof terraceI am not sure? Professional supply & installation of artificial grass in London & surrounding areas. The GRASSify luxury range of artificial grass, built and installed to last. No mud, no mess, no water and easy to clean up after rover! 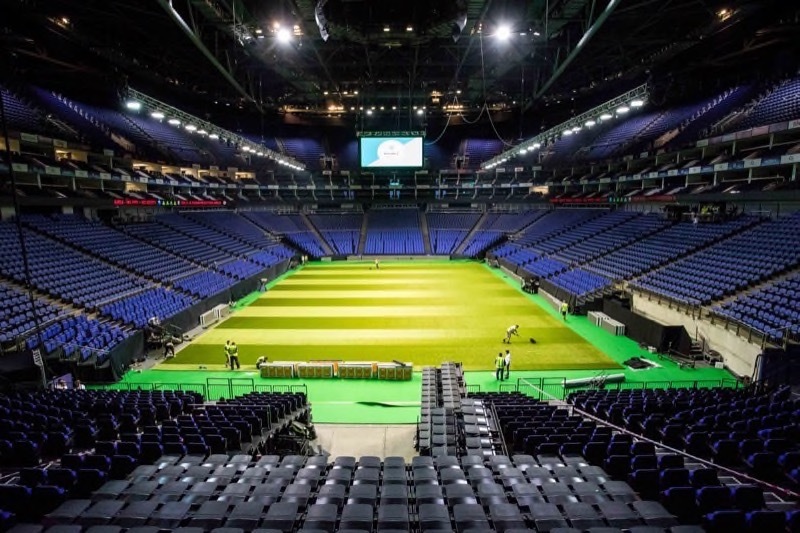 Our sports installation team are highly skilled, using only artificial grass tested to meet high performing standards required by World Sporting Bodies including FIFA, The ITF & The IRB. With a wide range of artificial grass designed to suit any busy commercial space, GRASSify’s UK made artificial grass will leave clients talking about your new GRASSified space. Grass covered crocs? We’re flipping our flops, GRASSifying crocs, and green-defining the waistcoat too!